Enhance your nursing education through the Sanford Summer Nurse Internship Program. You will experience the day-to-day life of an RN in a variety of roles and settings. This hands-on,10-week, paid internship will expand your clinical skills and knowledge under the guidance of an experienced nurse preceptor. This is a great opportunity to make a difference for those served in your care and to strengthen your clinical skill set. To develop confidence and competence in senior level nursing students through hands on experience in a medical center and/or clinic. Gain experience and skill within actual patient care situations, clinical simulation and classroom sessions. 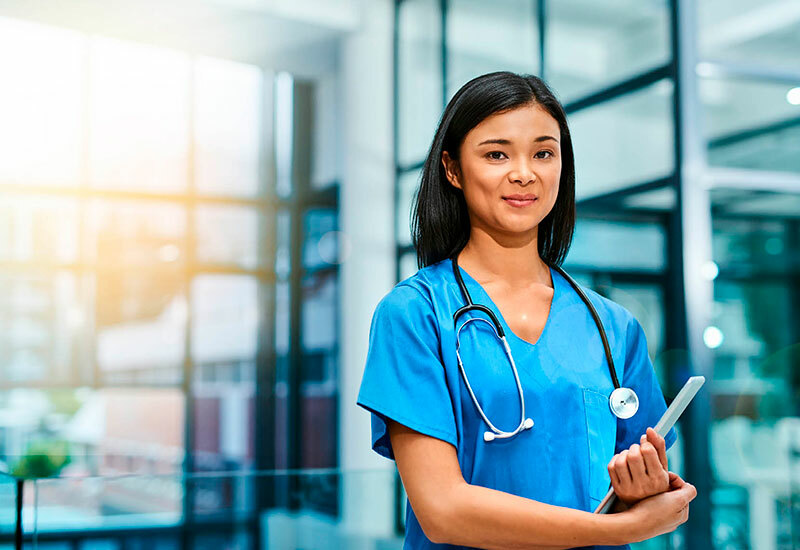 Assist senior level nursing students in finding an area of nursing practice that best fits their career goals, talents, and interest thus promoting a smooth transition upon graduation into practice. Work in partnership with an RN preceptor serving as a personal clinical coach. Network with peers from other colleges and universities both regionally and nationally. A comprehensive hospital and nursing orientation is provided to acclimate you to Sanford Health prior to beginning the program. Many rural Sanford facilities also offer a Summer Nursing Intern experience. These locations offer experiences in Critical Access Hospital; Long Term Care; and Ambulatory settings. These opportunities will enable you to witness the Rural Nurse Generalist nursing role with its broad autonomy and responsibility, work with an interprofessional healthcare team, utilize your critical thinking skills, and have access to professional development and support networks that will help develop both your clinical and leadership skills. Participate in the entirety of the 10-week program, including required classroom sessions. Work full-time (36-40 hours), including nights, weekends, holidays and 8-, 10-, or 12-hour shifts for the program duration (following your designated preceptor's schedule). Additional opportunities for observation outside your assigned department may be provided. Sanford Health offers opportunities in several areas of care. Upon selection into the program, you will be notified of your work unit/department assignment Consideration with be given to your desired work units. If you should require assistance securing housing, please contact local colleges or universities, as they often rent space to students over the summer. Prior experience as a nursing assistant is not required. If you do not see a link for the internship below, we may have filled all openings for the year. However, if you have questions or would like to speak with an HR professional, fill out the form here. We’d love to hear from you.